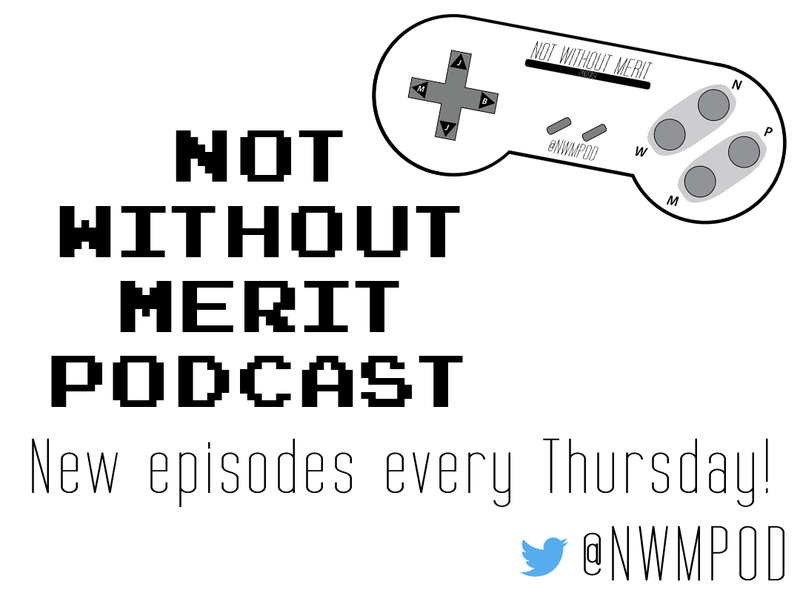 Not Without Merit Podcast – Page 13 – It's a video game podcast! Mike has gotten a taste of COD:WWII with the private beta, but has left him bitter; Ben gets a hold of Madden ’18 and its new Longshot mode and Ultimate Team improvements; Jake shows Mike the ins and outs of Rainbow Six: Siege along with the upcoming changes for next season. A new months approaches and with it the PS+ games for September; map changes are ahead for the next season of Rocket League; Secret of Mana gets a surprise remake announcement; GTA Online introduces the Smuggler’s Run update and a PUBG-like mode within; Enter the Gungeon announces another expansion; Shovel Knight announces its final expansion; and Friday the 13th fixes a lot of issues, but creates even more. For our Top 5 we look back at Destiny 1 and choose our favorite memories. In preparation for the upcoming gaming overload, Ben has taken it upon himself to become addicted to FFXII all over again, Jake gets ready for a new Rainbow Six: Siege update, and Mike plays another few hundred games of Rocket League. Microsoft announces a “Project Scorpio” edition of the upcoming Xbox One X, along with two new bundles for the Xbox One S; SNES Classic preorders came in the night and went even faster than the ones for the NES Classic, sadly none of us are surprised; Fear Effect is getting a remaster to the delight of our teenage selves; a new IP out of THQ Nordic leaves us impressed; there will be a new Jurassic Park game, but sadly it’s not what you were expecting it to be; The Crew 2 gets a release date as well as two additional versions of the game; Bioshock turns 10 and celebrates with an expensive statue; and Injustice 2 shocks the world with a very unique fighter coming soon. With our Top 5, we select our most anticipated games for the rest of 2017! Jake is back and so is the Demo Team! This time, Ben and Mike have checked out the NBA Live ’18 beta, and both come back with surprisingly positive reviews! Jake started up the new Batman (Telltale) game, Ben is getting lost throughout Hyrule in Breath of the Wild, and Mike’s Rocket League addiction only becomes stronger. Overwatch has brought standard Deathmatch modes to the game to all of our surprise, but still won’t convince us to start playing again. Tempest is getting a reboot, but Mike seems to be one of the few actually excited for the game. The substantial ‘Atlas Rises’ update for No Man’s Sky has been detailed, and has rekindled all of our interest in returning to the game. Humble Bundle teams up with 2K Games to give us a rare Playstation-centered bundle that is certainly worth checking out. Finally, Amazon Prime owners get the shaft once again as the 20% discount on games will now only be offered on pre-orders. Our Top 5 this week takes on our favorite sports game franchises! With Jake out on assignment at Boston Comic Con, the other guys have taken over! A new segment has been formed (not really) with “Mike’s Switch Corner” as he spent time with Splatoon 2, Mighty Gunvolt Burst, and Slime-San. Ben has reached the end of The Witcher 3’s campaign, but before starting the expansions is returning to Breath of the Wild. Announcements are plenty this week as Dragon Quest Builders 2, Persona 3: Dancing Moon Night, and Persona 5: Dancing Star Night have been revealed. We also get a release date for the upcoming Horizon Zero Dawn expansion, The Frozen Wilds; new (sort of) maps, emotes, and balance changes coming to Friday the 13th; a sizable update comes to No Man’s Sky; and we reveal the darkest timeline as loot boxes and microtransactions are coming to Middle Earth: Shadow of War. For our Top 5 this week, we decide on our favorite DLCs and/or expansions! We’ve been playing some betas! Ben and Mike give their thoughts on the zombie mess that is Dead Alliance, as well as how much has changed since last year in the NHL ’18 beta. Jake has finished the story in Final Fantasy XII, but is far from done with the game. Mike is a few hours into Sundered, but likes what he has seen so far. Ben has the eternal struggle of trying to play both Witcher 3 and Breath of the Wild at the same time. BioWare Montreal, developer of Mass Effect: Andromeda, has merged with other Montreal studio EA Motiv, further putting the future of the Mass Effect franchise in turmoil. SNES Classics were put up for pre-order, then quickly removed, but it didn’t stop both Walmart and Nintendo from looking foolish. Destiny 2 has now a PC beta date, as well as a special controller, exclusive to Europe and Australia (don’t worry, you aren’t missing out). The future of Minecraft on the PS4 is murky, Overwatch League salaries are revealed, WWE 2K18 reveals their collector’s edition, an update on multiplayer in Stardew Valley, and a Final Fantasy vehicle is coming to Forza Horizon 3? For our Top 5, we pick our favorite modes of transportation in games! S02E15: Most Zombie Movies Are Bad, But the Games Are Good! Mike has played through all of Cosmic Star Heroine and gives his glowing recommendation, Ben is trying to juggle both Witcher 3 and Breath of the Wild simultaneously, and Jake still has hundreds of hours to go in Final Fantasy XII: The Zodiac Age. Playstation Plus games for August have been announced; the first official Switch and first-party Nintendo sales figures are revealed; more info about the upcoming year of DLC for Dying Light; and Lost Sphear and The Sims 4 both get release dates! For our Top 5, we choose our favorite zombie movies! We have all played the Destiny 2 beta in record time, giving our thoughts along with our concerns for the final release, and what we hope for the future of the franchise. Besides that, Ben has played through Doom and has started Breath of the Wild. In news, Titanfall 2 once again is putting out a ton of free content; Telltale announces their release schedule for the next year (INCLUDING THE WOLF AMONG US SEASON TWO!!! ); Doom gives away all their multiplayer DLC along with having a free weekend; and Windjammers finally is given a release date. For our Top 5 this week, we flip around last week’s and pick our five favorite games based on TV shows or movies. Follow us on Twitter at @NWMPod, visit our website at nwmpod.com, and subscribe to us on iTunes or Google Play Music!